I bought several boxes of these .30-06 guard cartridges this past December, and while they aren't terribly uncommon, I thought they were interesting enough for this month's page. I don't often encounter these as loose cartridges, so it was a pleasant surprise to be able to find these full boxes. 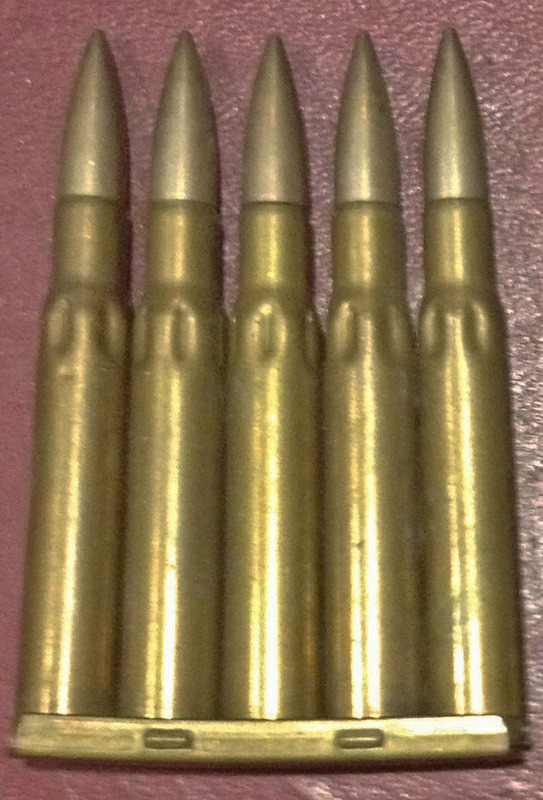 Guard cartridges, as their name suggests, are cartridges intended for short range use on guard or riot duty. As such, they were given a reduced powder charge. They were made using second class (rejected) cartridge cases and bullets. 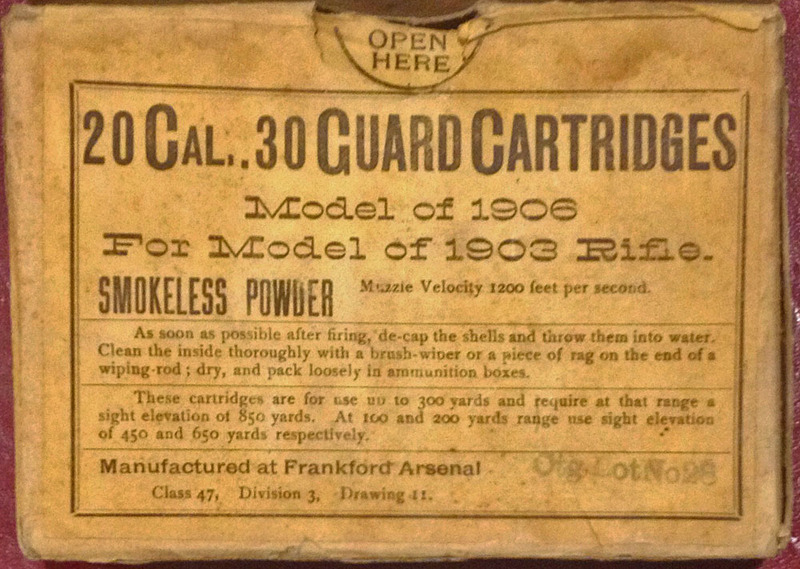 When first introduced as the Caliber .30 Guard Cartridge Model of 1906, the cartridges had blackened cases so as to distinguish them from standard ball cartridges. This blacking had a tendency to wear off with handling, so a more permanent method of identification had to be developed. The first of these, adopted in January of 1908, consisted of five rings or cannelures around the case midway between the shoulder and base. These cases had a tendency to rupture at the grooves when used in machine guns; as a result a redesigned case with six short shoulder flutes for identification was adopted in March of 1910. It was also determined that repetitive chamberings of the guard cartridges resulted in loosening of the bullets. In 1916, the groove in the bullet was deepened, allowing the case mouth to be more securely crimped to the bullet. In spite of these relatively significant changes in the design of the guard cartridge, it retained it's Model of 1906 designation until it was replaced in 1933 by the M1 guard cartridge, which used a round nose lead bullet. 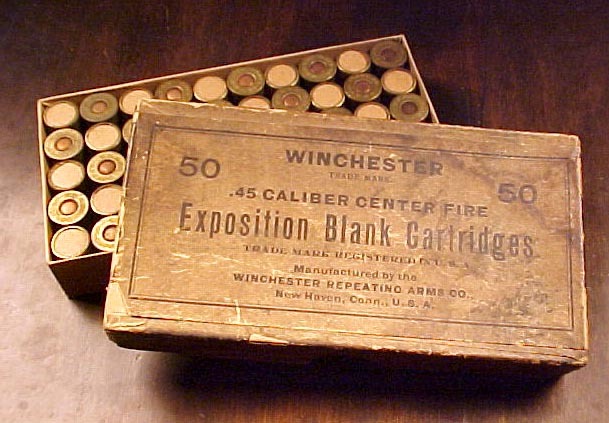 The cartridges in these boxes are in 1903 Springfield five round stripper clips, one of which is shown here on the left. 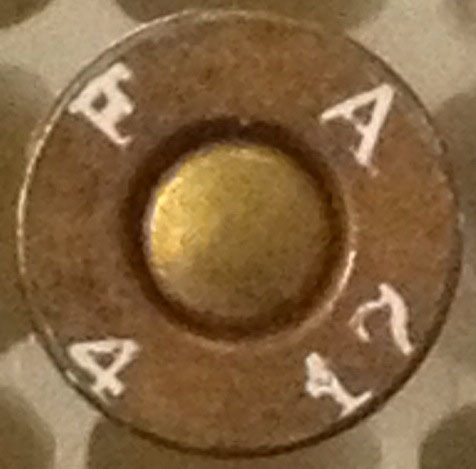 They are head stamped F A 4 17, but because second class cases were used, the head stamp dates have no correlation with when the cartridges were actually produced and packaged. A pulled bullet showing the deep groove is in the picture on the lower right. The use of DuPont Pistol Powder No 3 in loading these cartridges is surprising, as the standard load for these was either Bullseye or DuPont Rifle Powder No 1. History of Modern U.S. Miitary Small Arms Ammunition, Vol 1, Hackley, Woodin & Scranton.